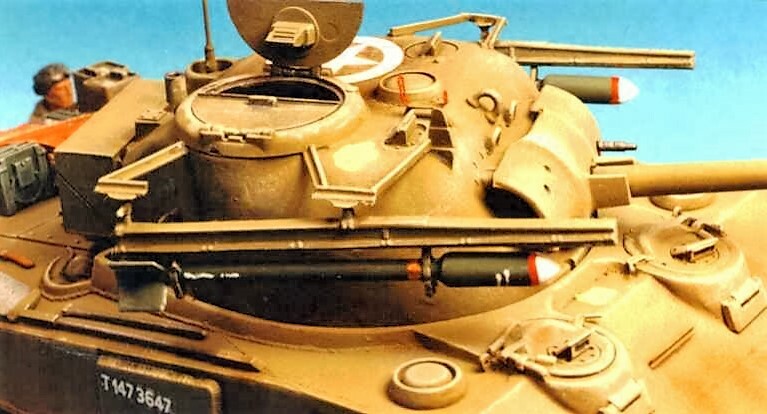 A resin set of 1/35th scale parts designed by Phil Hendry to add a pair of 60lb SAP aircraft rockets to Sherman M4A4 (British Sherman-V), and M4 (British Sherman-I). Known in service as ‘Tulips’, these were fitted for the Rhine crossing operation by the Coldstream Guards. Similar arrangements were also used on some Staghound Mk-1 Armoured Cars.